One major questions to all Smartphone user that how to save your Smartphone’s battery life. Now a day’s Smartphone’s comes with the latest fancy features, which was also necessary for time being need to us. As such the battery life of Smartphone’s going downward. So here 5 tips to save your Smartphone’s battery life. First thing if your phones location service is enabling, the data send and receive is running in the background and phone slow down. So you always disable the location of your phone for saving to your battery life. When you are in an area where phone’s signal not available, you should turn on airplane mode because unless turn on this feature phone continuously searching for Network signal and your battery quickly discharge. Always in this situation, you turn on airplane mode and plug your phone for charging. This wife and Bluetooth features are need not always if it turn on the battery charge is draining quickly. These features are required at the time of internet and data transfer one device to another device, so it need not always. For your battery life turn off both features. 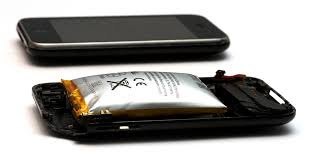 The main problem for quick discharge you battery is screen brightness of your phone because you always forget to deem your screen brightness. So you can manage this screen brightness in phone setting and you should keep your phone in auto brightness to save battery. It is also a problem to quick battery discharge. Your Smartphone has many applications but some unused applications also installed on your phone. You should uninstall these apps if you have no need, they can eat your battery life. In this way you can save your smart[hones battery life and use your phone smoothly. If you like this post, please share and comment me how to help you in the comment section and do not forget to share this to your friends and relatives.